Where Does the Mold on Bread Come From? When bread is old, it develops a furry, green or gray coat called mold. Mold is actually a patch of tiny plants which grow more rapidly than the weeds in your garden. Since no one “plants” this mold on the bread, where then does it come from? The plant’s spores, which are its reproductive bodies, float around in the air until they find some place to land. They are too tiny to even be seen when they are floating about. But when they land, usually on warm, moist bread, they begin to grow just like seeds do in warm, moist soil. As they grow, they send more spores into the air and onto the bread as well. Each tiny mold plant, when seen under a microscope, has two branches, a longer one with little black balls (the spores) and a shorter one, which acts like a root, penetrating into the bread and absorbing food. Interestingly, a mold’s diet is quite varied. Not only will it grow on bread, but also on meat, vegetables, and even shoes, clothes, and books if they’re in warm, moist areas. 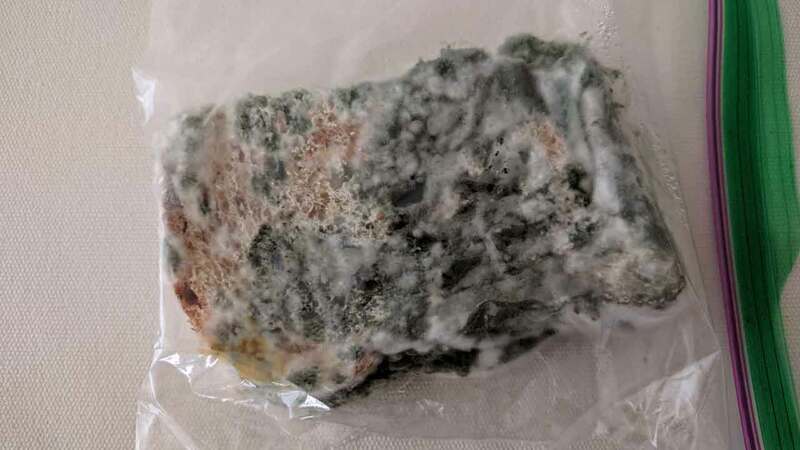 A mold, similar to the one found on bread, is grown in special tanks by scientists and produces one of the marvels of modern medicine, penicillin. How Does Slime Mold Move?